LHSA – The International Leica Society and Leica Camera AG have partnered to offer a free one-year digital LHSA membership with a qualifying Leica Camera purchase. The promotion is available to new LHSA members only and applies to Leica system camera bodies including Leica M, Leica S, Leica SL, Leica TL2 and Leica CL systems, and the Leica Q. 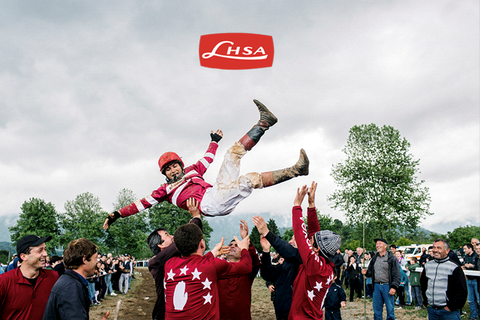 Through this partnership, Leica Camera and LHSA invite Leica customers to join LHSA’s worldwide community of Leica enthusiasts and receive numerous exclusive benefits. Digital subscription to Viewfinder, LHSA’s acclaimed quarterly journal featuring photo essays, Leica history, and camera reviews. Access to members-only portion of website with exclusive articles, Ask an Expert program, Viewfinder archives, and the latest Leica news. Invitations to participate in spring shoots, regional meet-ups, and annual meetings. At these gatherings, attendees can take advantage of “Leica on Loan” programs to try out products, receive professional instruction, and meet with Leica experts. Quarterly newsletter and bi-monthly emails to stay up-to-date on all things Leica, including news on exclusive offers and special commemorative products. Camaraderie and fellowship with other LHSA members. To take advantage of this special offer, go to the Leica Owners’ Area.